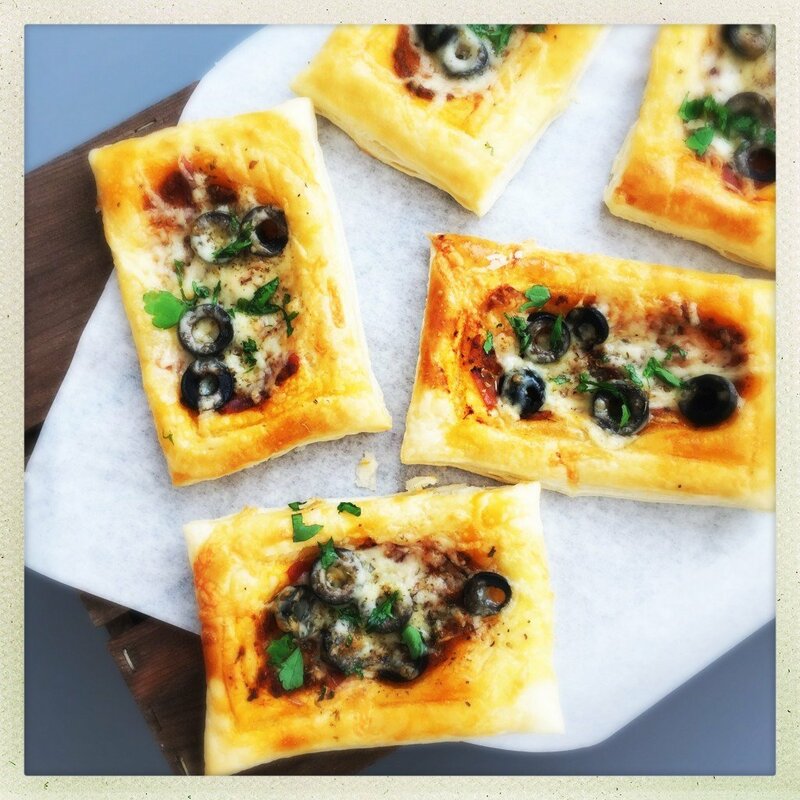 Puff pizza tarts are just the most brilliant recipe for busy parents, you can have these prepped, cooked and on the table in just minutes. They’re great for kids tea time, just serve with baked beans and sweetcorn or a great big salad and some coleslaw. It’s a recipe so easy the kids can help out with making them and you don’t have to stick to the toppings we’ve used, feel free to just add on whatever your family likes. Puff pizza tarts are great packed into lunch boxes or for picnics and parties – just be sure to cool before you wrap so they don’t go soggy. Heat the oven to 190C and line a baking sheet with greaseproof paper. Cut the puff pastry sheet into eight and place onto the baking sheet. Make an indent around 1.5cm from the edge of the pastry all away around - this will make sure the filling stays in the middle and the edges puff. 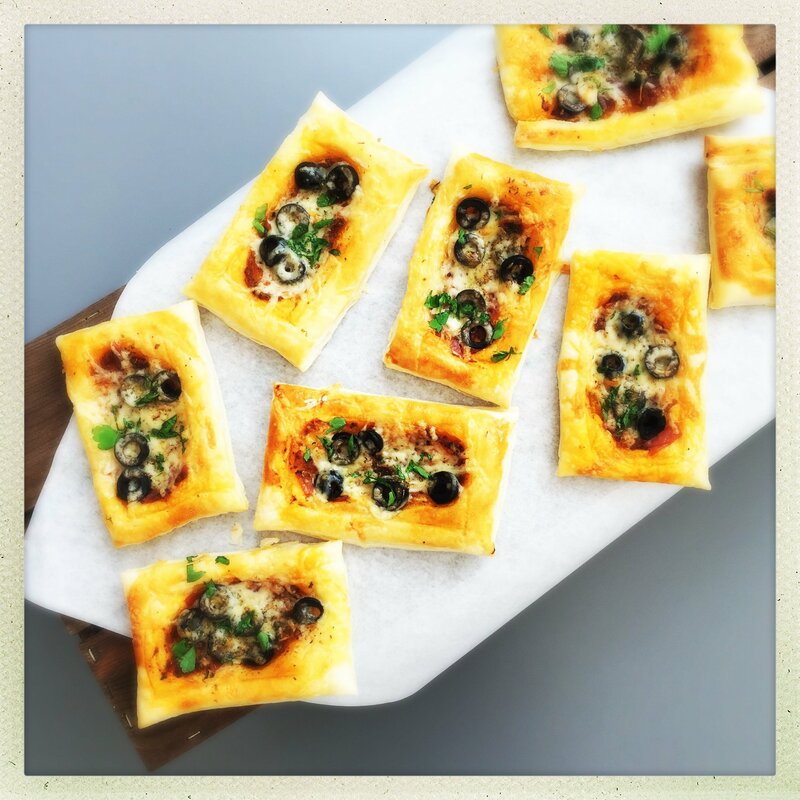 Spread the centre of the tarts with tomato paste, top with ham, cheese and olives and sprinkle each tart with a pinch of oregano. Brush the edges of the tart with beaten egg and then bake in the oven for around 10-12 minutes until the toppings are cooked and the edges golden and puffed up. Go with different toppings try out ham and pineapple, apricot jam and goats cheese or pepperoni and red peppers. Make a big tart instead of individual ones. 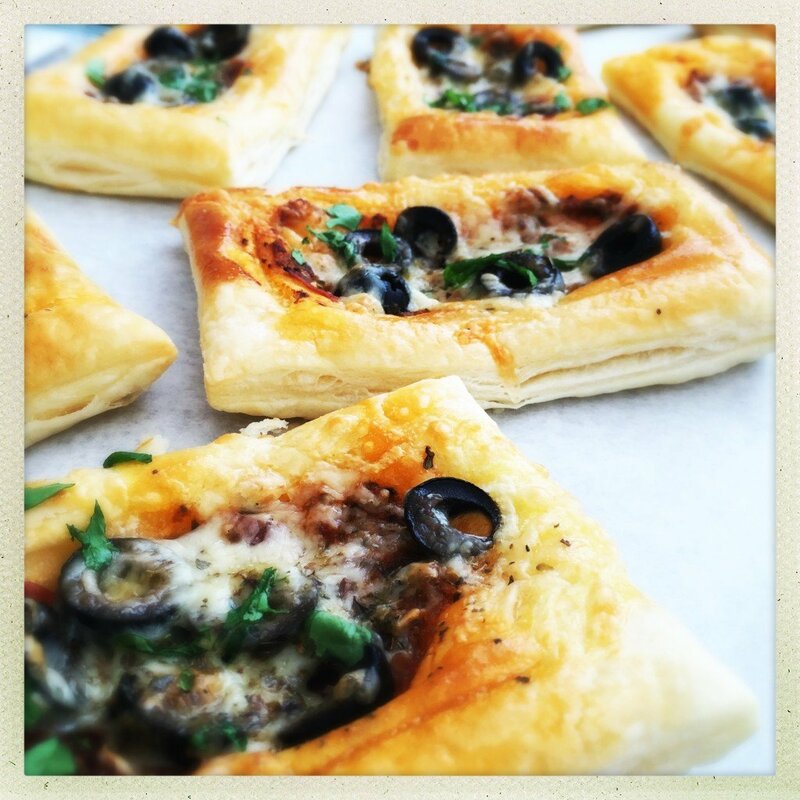 These puff pizzas taste fab cold so pack in lunch boxes or picnics.